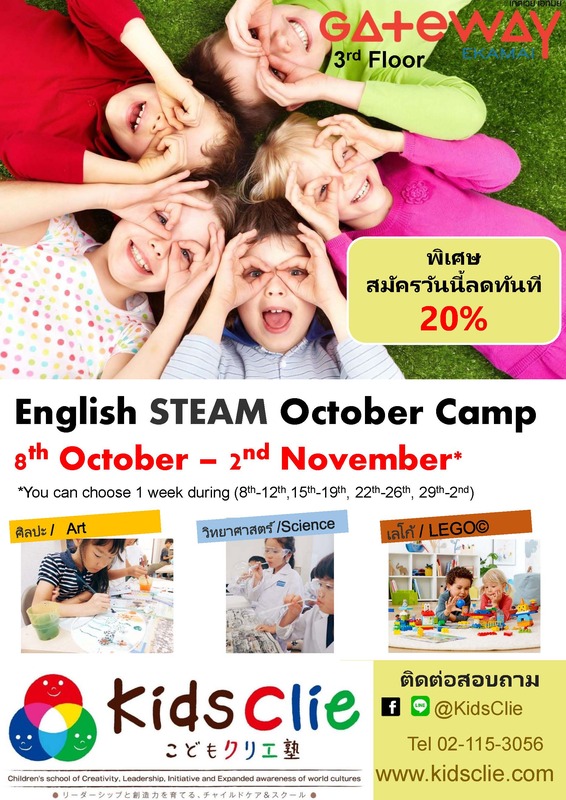 Join us for English STEAM October Camp. 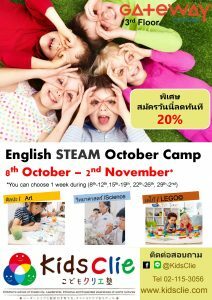 Each daily lesson is combined with a LEGO,Science, Art of STEAM learning and English Club. 12-13 Lunch Time *Lunch:500B/week or Please bring a lunch box.